TASC (The Altrincham FC Supporters' Club) arranges away travel to as many away first-team matches as possible. 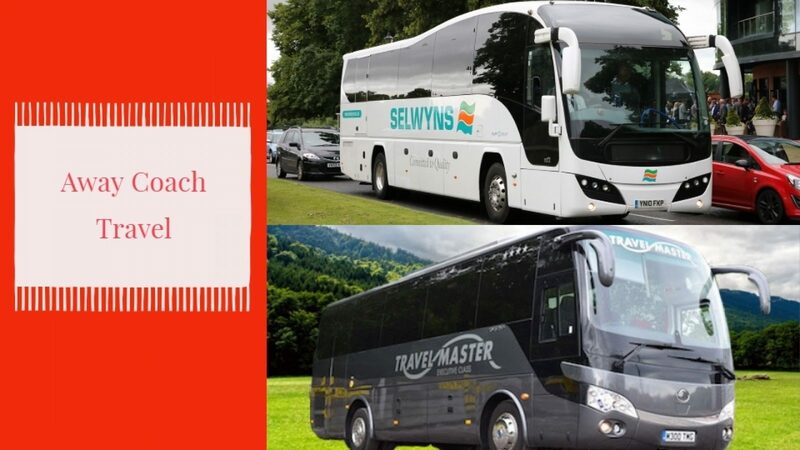 Normally the coach aims to arrive at away ground around 90 mins before kick off on a Saturday and 60 mins midweek to allow people to enjoy a drink or explore the local area. We leave as soon as possible after the final whistle to get travellers home to families/evening arrangements. For trips of over an hour and half we make a service stop on the way down for refreshments and a toilet stop on way home if required. We do not permit alcohol on our trips on either the outgoing or return journey to preserve the family friendly atmosphere as we have travellers of all ages who use our coaches. Please respect this rule and our volunteers who run this service. Advance booking, either in the Community Sports Hall on a home matchday or by ringing the club on 0161 928-1045 in the week, is essential. No-shows and late cancellations hurt us financially and could prevent others travelling. For late availability or any issues please contact Travel Coordinator Mark Eckersall on 07837 658 627. Once again to book your seat, please ring the Club on (0161) 928-1045 or sign the travel sheet in the Community Hall on home matchdays.